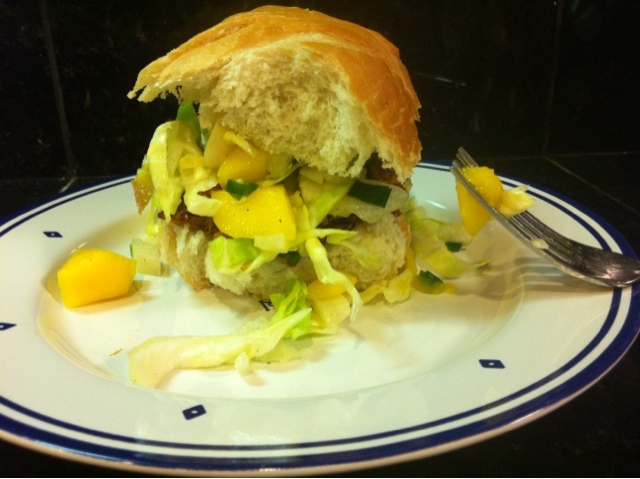 I love mangos and who doesn't love coleslaw? Recently we bought Jack Daniels pulled chicken at Costco. This is 4 oz. for 120 calories and SO worth it. 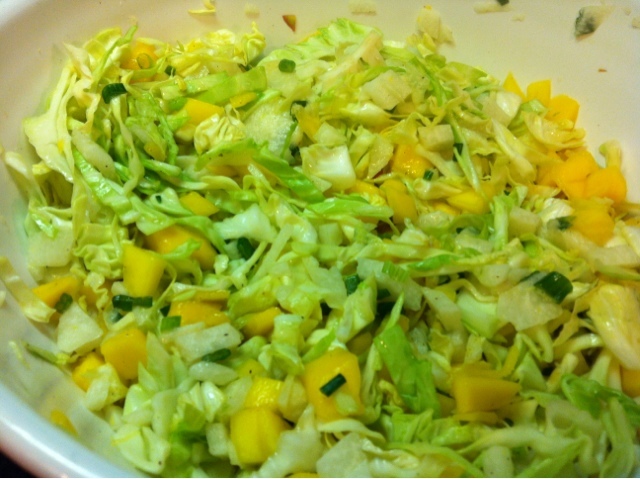 I topped it with mango slaw. The next day I even ate the slaw and chicken as a nice salad. So yummy and a new staple in our house. 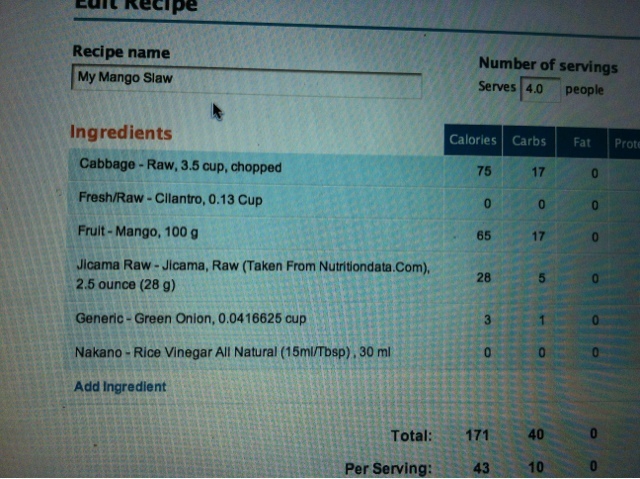 The slaw is around 45 calories per cup. In the list below I forgot to mention the juice of one small lime. Mix everything together and allow a little time for the flavors to interact. This recipe will serve four people around a cup of slow. SO SO GOOD!